I said Alleluia on Sunday. It was accidental, but loud. If there is a recording, you would know it was me. I had some ready excuses, mitigating circumstances, other exemplars of the wrong around me, but in the end, I did it. Lent, just four days old, now wrecked and done. Ash Wednesday begins the season with this call from the Church to its members. meditating on God’s holy Word. And, to make a right beginning of repentance, and as a mark of our mortal nature, let us now kneel before the Lord, our maker and redeemer. Observing, keeping, or watching as Lent unfolds can be daunting. A goal of a “holy” Lent raises the stakes even higher. Self-examination, Repentance, Prayer, Fasting, Self-denial, Reading and Meditating on God’s holy Word. Quite a list from which to choose- engaging in word, worship and prayer for the sake of knowing Christ and ourselves better as we begin moving towards Jesus’ Passion and Easter. 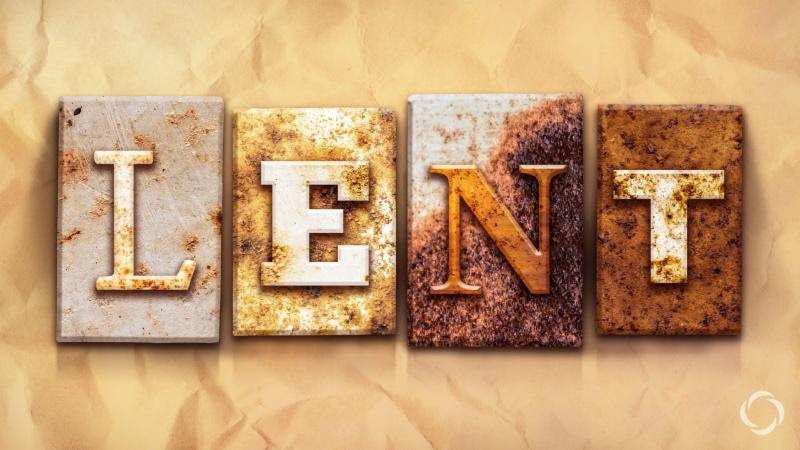 But, what if Lent’s great design is thwarted by an ill-timed Easter acclamation, or a bag of M&Ms, or a thought, word, or deed left either done or undone? Remember, Lent is a tool, not a rule. 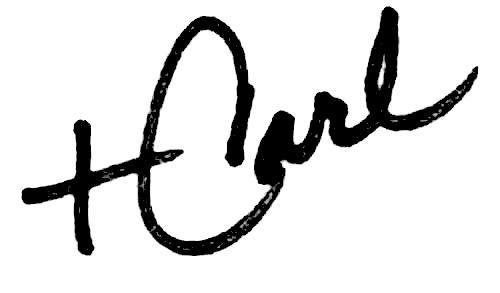 Lent, and the other helpful patterns of formation are, in the words of Anglican theologian Martin Thornton “not intended for legalists.” Dallas Willard writes that the spiritual disciplines are “not righteousness, but wisdom”. They don’t make us better because we do them, they make us better because we use them. As you worship on Sunday, it is good to lay aside the Alleluia so that its vocalization builds like steam in a boiler, ready to billow on Easter morning. It can be good to lay aside simple pleasures for the sake of cultivating and recognizing our appetites and desires as a way to remind us to pray or to give. As you enter into Lent, here are two upcoming ways you might align yourself with the way that leads to Christ’s cross and resurrection. On Wednesdays during Lent, join Bishop Carl in the church at 12 for “He Chose the Nails” by Max Lucado and noonday prayer. th, join us here at the church as we welcome Pastor Jon Ritner for an evening of conversation about reaching secularized people with the good news of the gospel. He will draw on his experiences as part of the staff of a megachurch here in the US, as well as a missionary to Belgium and now serving as pastor of a church in Hollywood California. Join us on Sunday morning at 9am as we study Starting Over: Your Life Beyond Regrets. We will meet in the Parish Hall for breakfast and conversation around this Lenten Study. Other small groups using the book are taking place through the parish as well. We hope that these and other opportunities will allow you to enter into the blessings of a holy Lent, imperfectly but intentionally, on our way together towards Easter morning. Four died and nine were injured on May 4, 1970. It was a protest at Kent State University against the invasion of Cambodia by US forces. I was in seminary then and wrote a paper around that event for both my ethics and theology courses. From either angle, you couldn’t make sense of it. iii. Who was at fault? 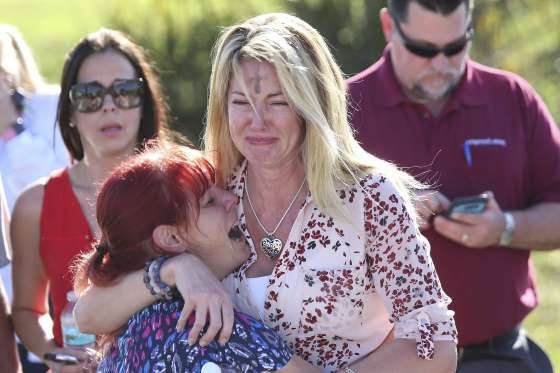 The Parkland High School massacre, 17 dead and 15 wounded, happening on Ash Wednesday, both remind us of our mortality, but really… I still can’t answer the questions and I hurt and I’m angry! I don’t know what else to be. Parkland and Kent State, two very different situations and the same senseless waste! I suppose it helps us with the existential acceptance of evil, the depth of the fall of humanity, and total depravity, whatever that is? Perhaps this! And this is getting all too common. After listening to people on TV tell me why this is escalating and comparing stats of how many soldiers pulled triggers in WW1 for point blank killings to how many more did in the Vietnam War, my fear for our children, and children’s children, and wondering how much worse can it get, and so on and so on – if we had no other reason to fast and take Lent seriously, well here it is! I think condolences are okay, and/but I think our Lord Jesus would agree with this TV talk show hostess, without action… we need to do something! Jesus is unrelenting on his answer to this question. And I believe he shed the first tear and perhaps, as he is alpha and omega, will shed the last, whenever that is, over the horror of this past Ash Wednesday afternoon. The gospel of Jesus has been reaching across countries, cultures and conversations since his first announcement that God’s kingdom was here. In his words and deeds; in his person and mission. Jesus’ commission had been prophesied by God’s servants the prophets in the Old Testament, and affirmed in his baptismal waters at the Jordan River. Magi offered gifts and homage as recognition that Christ’s birth was the turning point in history, for Israel and for the world. In Epiphany, we have traced his steps. He ascends this week to the Mount of Transfiguration, and then surprises us with his call to mission. Jesus continued this mission in his own ministry, then expanded it in the initial missions of the twelve and seventy and then to the disciples on the day of his return to heaven. Sending the Holy Spirit to the initially gathered one hundred and twenty only expanded the mission, sweeping past the earlier barriers that God had allowed so that they could one day fall in recognition of Christ’s role as King of Kings and Lord of Lord’s. Through the courageous and crusty apostles, their helpers and converts and disciples along the way, the early church sought the empowering of the Holy Spirit to live into the mantle left by Christ, the head of the Church. And the mission continued. The history of the church is not narrated with the same inspiration and summation that we get in the books of the New Testament, and the faults and errors of the Christian past have caused many to reject the slow spread of the faith as evidence of its failure and look to some more recent “restoration” or restart. This is a mistake. The history of the church does trace the spread of the good news. In its pages and testimonies, we see the Lord’s providence and guarding of His Body, and countless opportunities when faithful women and men took risks for the Lord’s sake. For the fame of Christ, they initiated conversations with their neighbors, bore persecution for their beliefs, said goodbye to their families and friends, served even their captors, started tract societies and utilized every form of conveyance to reach the corners of the world. The mission continues. As faith in Christ spread around the world, it has also been the mission of the Great Commission to apply the message of Jesus and the grace of Jesus to the hearts and lives of individuals and families, communities and nations. Good news for the world is also good news for mothers and fathers, for the unemployed and for the elderly, for the student and for the prisoner. The good news of Jesus Christ arrived on these shores in the boats and hearts of settlers, both clergy and individual Christians who wanted the spread of peoples to be both strengthened and chastened with the spread of true Christian faith. Here is another look at the first priest at Jamestown. As a native North Carolinian, I was taught in the fourth grade (and again in the eighth grade) the names of the first two people baptized in the New World. I am still learning the significance of this poignant joining of the Croatan Chief Manteo and baby Virginia Dare, granddaughter of Colonial Governor John White around a Christian font on two August Sundays in 1587. These first two baptisms point us to the marvel of Christian mission, Anglican and otherwise. Reaching out and reaching forward are the same gospel muscles. Extending Christ’s fame across boundaries and generations is the inheritance and call of all who bear his name. 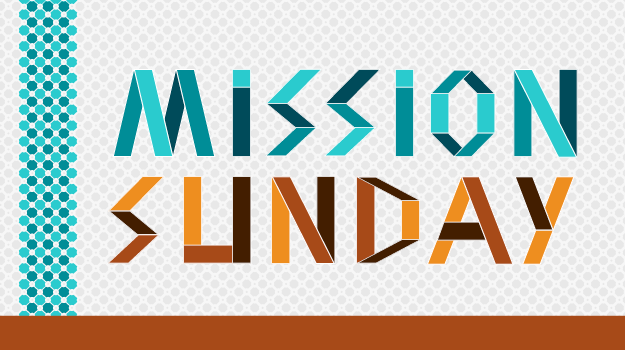 The many missionaries, missions and ministries our parish has the privilege of partnering with has given many of us the same chance to use those gospel muscles. For decades, God has blessed our parish with strong apostolic-minded mission leaders, once-in- a-lifetime friends, and connections that reach into homes and people groups throughout the world. And these blessings remind us of how big the world is, and how Christ powerfully unites us to those who are as unique as Baby Virginia and Chief Manteo. Join us this Sunday with Jesus on the Mount of Transfiguration to see how his insistence of finding the right moment makes all Christian mission possible, and grants us the opportunity to share with him in his inheritance of nations. Tonight and tomorrow we will be looking at how the Word of God, Worship and Prayer can shape our lives as followers of Jesus. Here is a quote from RUN WITH THE HORSES – THE QUEST FOR LIFE AT ITS BEST by Eugene Peterson on scripture, and a short piece reflecting on the prayer life of Jesus. It’s good to have a taste of Jesus’ customs and culture, but as Christians, our goal is not to become more Jewish, but rather to become more like Jesus. 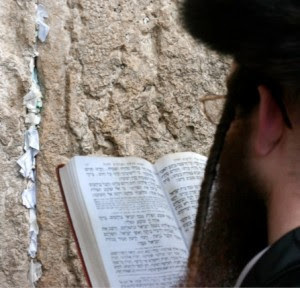 There is, however, one Jewish practice that all of us would benefit from, and that is adopting a type of Jewish prayer which can transform a person’s spiritual life. These have been used for thousands of years, even back to New Testament times. This pervasive act of prayer kept God’s presence and love continually on their minds. Jesus and Paul both would have practiced it, and Paul may have had it in mind when he told Christians to “Be joyful always; pray continually; give thanks in all circumstances” (1 Thes. 5:16-18). The idea is not to bless objects and people, in our usual Christian sense of the word, but to bless the Lord, with the understanding that we are focusing on him as the source of all blessing. The word for bless, barak also means “to kneel,” suggesting that when we bless God, we mentally bow on our knees to worship him. In Jesus’ day the first line was probably just “Blessed is he,” but the rabbis felt it was important to be reminded that God is King over us in order to “receive on ourselves the Kingdom of God,” so they added the rest of the line later. So in these prayers we mentally kneel toward God, remind ourselves of his goodness, and that he is our King.